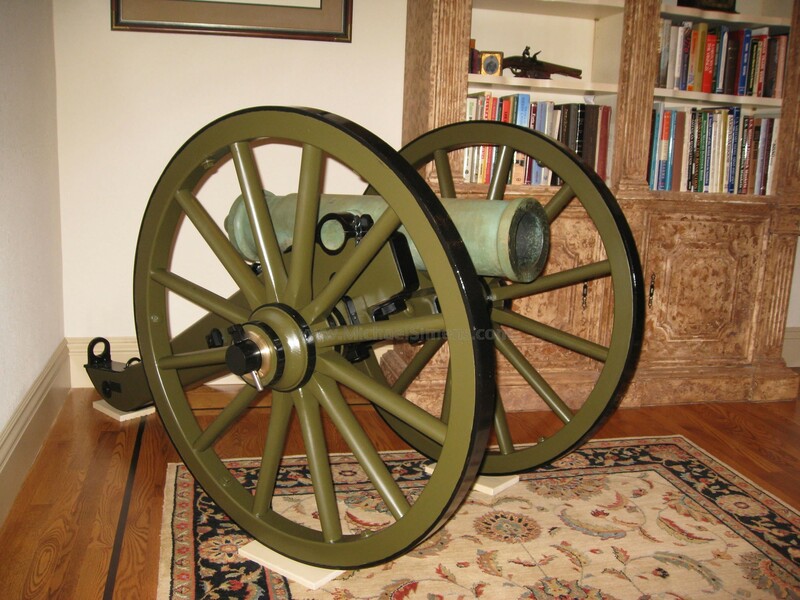 This is one of the finest condition 12-pound Mountain Howitzers ever offered for sale. 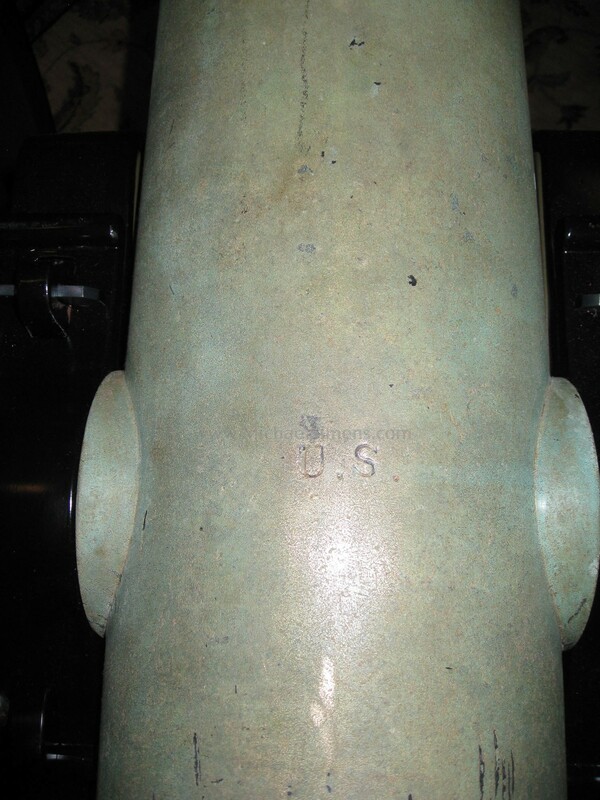 Dated 1846 and manufactured by Cyrus Alger, it's tube has strong, bold and complete markings and its surface is in a wonderful olive green patina. 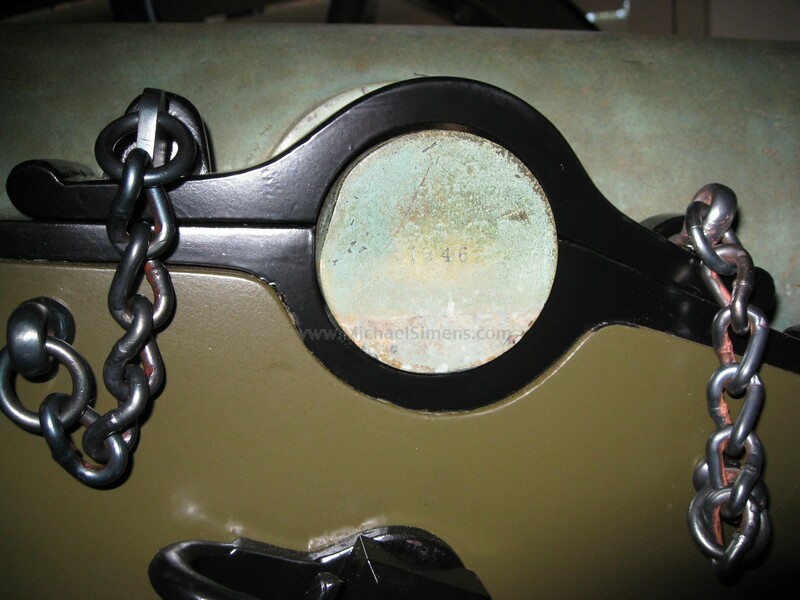 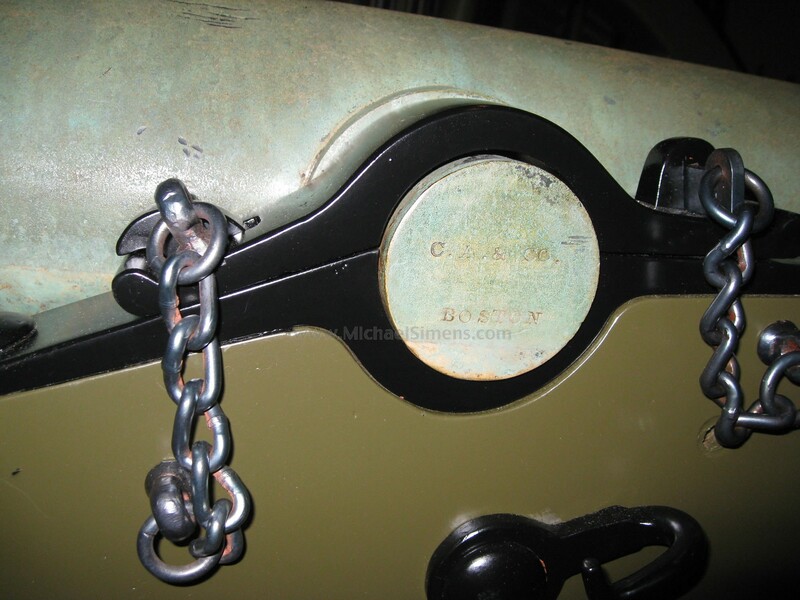 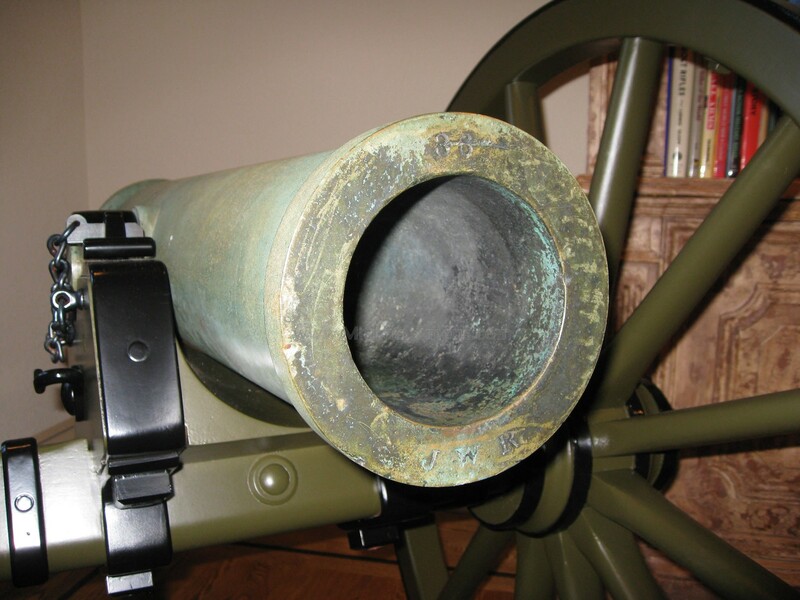 The reproduction carriage has undergone a brand new paint job and is in nearly new condition.This exciting 12-pound bronze, smoothbore howitzer was manufactured in 1846 at the beginning of the Mexican War and was probably used there as well as during the hostilities between the North and South. 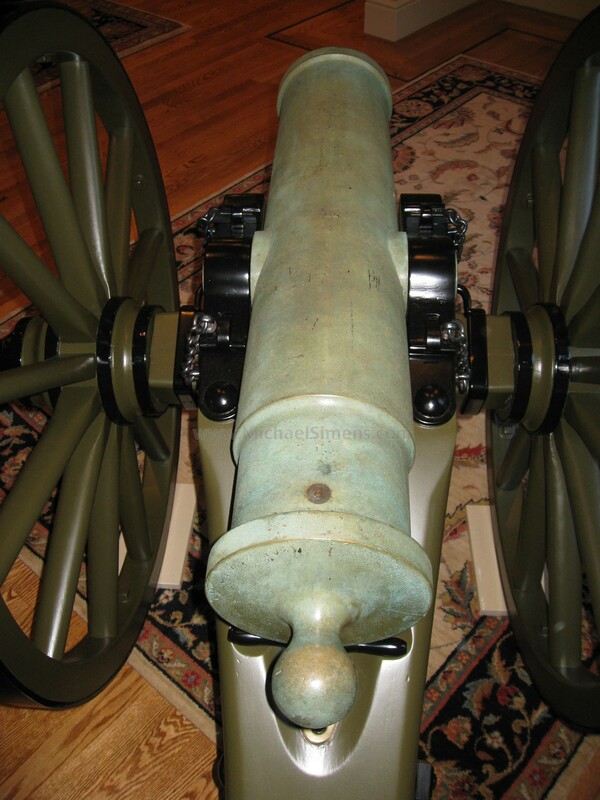 It’s combination of firepower and portability made it one of the most popular artillery pieces during the both wars, and they are highly prized by collectors today due to their diminutive size and former use by Cavalry and Mounted Troops.This is a wonderful opportunity to easily fit a vintage artillery piece into any office or collection room, making it the centerpiece attraction.